Done transfer liverpool: Nathaniel Clyne completes Liverpool move Liverpool have officially announced the signing of right-back Nathaniel Clyne from Southampton. Liverpool have officially announced the signing of right-back Nathaniel Clyne from Southampton. 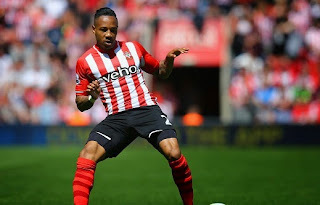 Nathaniel Clyne defender have reportedly signed a five year deal at Anfield earlier today. He becomes the sixth summer signing for the Reds this summer. The deal is around £10 million which will rise to £12.5 million in the future. The Reds have already sealed James Milner, Danny Ings, Joe Gomez, Adam Bogdan and Roberto Firmino this summer. Clyne will be joining his former teammates Adam Lallana, Rickie Lambert and Dejan Lovren who all signed for Liverpool last summer. The 24-year-old has been signed as a replacement of Glen Johnson who has left the club after his contract expiration recently. Clyne who successfully passed his medical yesterday revealed his happiness after the agreement with the Reds. The full-back was an important part of the Saints in the last few years. He was a regular player and also attracted the interest from Manchester United. Meanwhile, Liverpool boss Brendan Rodgers is keen to get more players, currently he is still in search of a goal scoring striker. Brendan Rodgers is eyeing to bolster his squad for next season’s Premier League campaign as he eyes to fight for the EPL title.